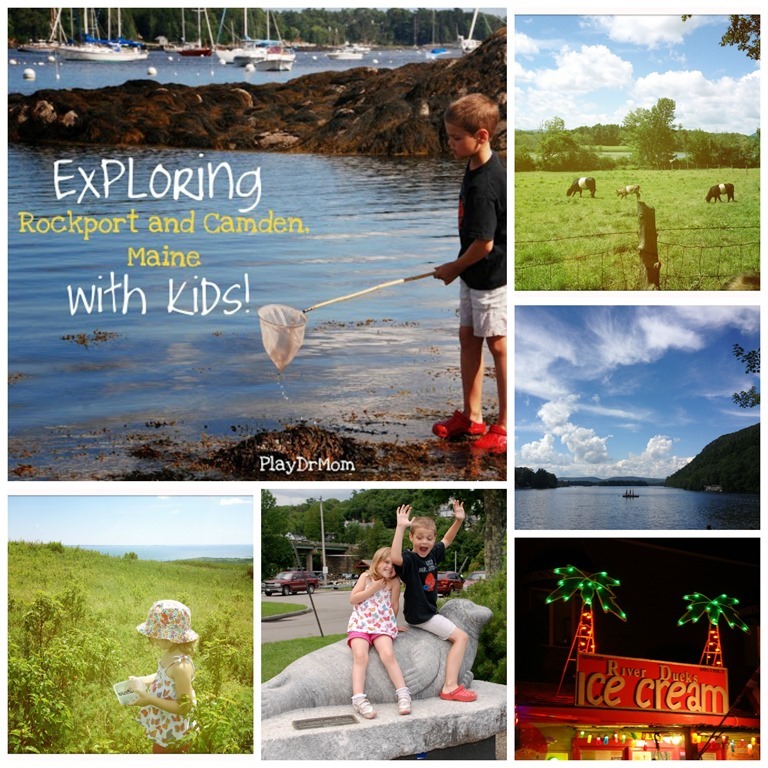 Today we are touring the beautiful towns of Rockport, Maine, as well as the neighboring town of Camden with Laura of PlayDrMom, a mother of 2 who is also a psychologist specializing in children and Play Therapy. She has been a practicing therapist since 1999 and obtained her doctorate in psychology (PsyD) in 2005 from The Center of Humanistic Studies (now called the Michigan School for Professional Psychology). She has additional training from the Association for Play Therapy. Currently she works part-time in private practice while also being a full-time mom! She previously wrote about Michigan for this same series. I am excited to welcome her back with ideas of fun things to do in Maine with kids! Laura and her husband have two kids: a son, Henry, born in March of 2006 and a daughter, Honor, born in May of 2009. The blog includes games they play, the places they go, favorite toys, and the things they create together and for each other. 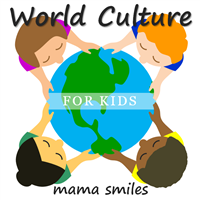 It is also a place for her to advocate for children and the importance of play, as well as sharing ways parents and teachers can strengthen relationships with the children in their lives. I love her simple outdoor music area, playful activities to help kids learn about feelings, and these relaxation jars. You can also follow PlayDrMom on Facebook,Google+, and Pinterest. 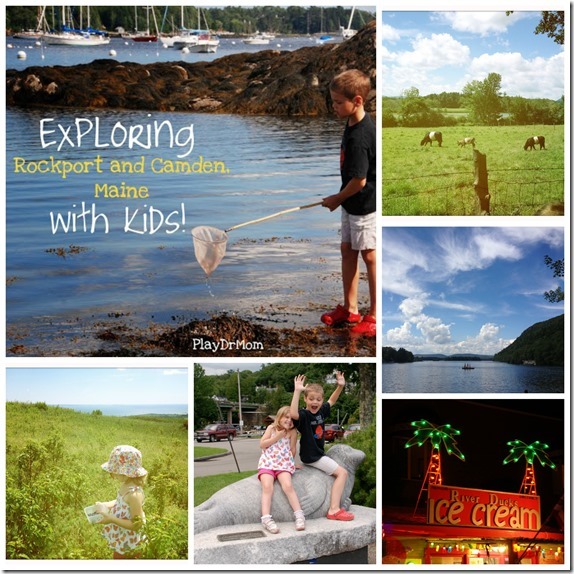 Exploring Rockport and Camden, Maine with Kids! This summer I had the wonderful opportunity to take my kids to visit my own childhood best friend at her parents’ home in Rockport, Maine. She did a wonderful job of guiding us around, catching all of the very best things for kids to do in Rockport and the neighboring town of Camden. I absolutely LOVED that most everything we did was simple and free … basic and fun childhood experiences that she shared with me and the kids. And now I want to share them with YOU! See the Belted Galloways. We took a walk up to the amazingly scenic Aldermere Farm and stopped on the side of the road to look at the Belted Galloway cows (“Belties”). Because of the unique black and white markings, these special cows have also been lovingly been called, “Oreo Cookie” cows. I told the kids that this is where we get the milk to dip our Oreo Cookies in … but they didn’t believe me! Pick Blueberries. The kids and I did some “hard-core” research before our adventure to pick the berries by reading one of my absolutely favorite children’s stories, Blueberries for Sal, by Robert McCloskey (4 of his 8 books are set in Maine, his home for many years). So we were fully prepared (not really, we should have worn better shoes and longer pants) for some serious blueberry picking when we arrived on Beech Hill. Luckily for us, we were visiting when the Coastal Mountain Land Trust was having their one day during the year when they open the hill to the public (and it’s free!). “Kurplink! Kurplank! Kurplunk!” The experience was amazing … breathtaking views of the ocean and surrounding area and amazingly fresh, sweet blueberries. My son said they tasted “like candy” and really enjoyed the eating part! And the fresh berries tasted delicious in the pancakes that my friend made us the next morning for breakfast. Take a dip in Megunticook Lake. Nestled in the Camden Hills is the quiet, small, and breathtaking Barrett’s Cove on Megunticook Lake. The lakeside sandy beach is free, open to the public, and has plenty of parking spaces. There is shallow water for younger ones … and deeper water with a diving float anchored several hundred feet from the shore. The grassy areas and picnic tables also offer a great place to rest and take in the amazing scenery. Get Ice Cream. Right in the popular downtown area of Camden is a fun, little place to get some ice cream. River Ducks Ice Cream (named so because it is right on the river and you can feed the ducks there) has a great selection of ice cream … something for everyone. But I think what my kids liked the most is that River Ducks features one state a day and if you can prove that you are from that state you get a free ice cream! So, of course, we HAD to go check everyday, right?!? Play at Walker Park. Not far from the Rockport Marina, right by the side of the harbor is a great place to let the kids play and explore for awhile. Walker Park (off of School St) has a playground area (with swings, an updated play structure, and a merry-go-round0. It also has a great, grassy hill to play on AND a rocky beach PERFECT to find some crabs. Make sure to bring a net and a bucket! Visit Andre the Seal. In Rockport Marine Park sits a happy, life-sized statue of Andre the Seal, celebrating the life of an amazing harbor seal and the even more amazing relationship between the professional scuba diver, Harry Goodridge, and his animal. Make sure you read, “Andre the Famous Harbor Seal”, by Fran Hodgkins to learn about their inspiring story. No trip to the area would be complete without stopping for a photo with “Andre” on the harbor! What a wonderful place to visit with kids! We will have to drop by Rockport next time we visit the East Coast with our kids. Thank you for this tour, Laura! How delightful! What a wonderful friend and tour guide you have! We recently went berry picking here in Western Australia and they really were the best blueberries we’d ever had. We used to pick fresh blueberries in Massachusetts, and they were delicious! It sounds like a fun place to visit. Megunticook Lake sounds like a fun word to say. It looks like an incredible place to visit! We’ve only been to the lower part of Maine but I want to check out Rockport now! I am definitely wishing we had gone while we were in Massachusetts! Sounds like a great time! The thought of picking blueberries is making my mouth water! I teach Spanish at Camden Rockport El;ementary School and was so thrilled to see this post! We certainly live in a beautiful location, so many of them highlighted in this post! Thanks for sharing! Hi Julie! It looks like a wonderful part of the world!